Inspiration in Life: My mom. She moved to the U.S. after marrying my dad and giving birth to me. It wasn’t a dream of hers to move to the U.S., but she fell in love and made the ultimate sacrifice. Upon moving here, she took English lessons and got her citizenship. Moving here did not come easy, people were prejudiced and mean-spirited, but she didn’t let that get her down. She taught me that no matter how bad my day may have been that I shouldn’t take it out on others. She taught me kindness, helpfulness and respect. Hobbies: Running, hiking, reading and photography. Pet Peeves: Laziness, rudeness and people who can’t park between the lines. 3 Words to Describe You: Persuasive, resourceful and funny. If You Could Have 3 Things on The Island What Would They Be and Why? 1. A journal so I could write about my experiences and share with my family and friends later. 2. A picture of my family to look at, find me strength and keep me grounded. 3. Deck of cards for entertainment. SURVIVOR Contestant You Are Most Like: I would say that I can relate to Tina Wesson because she played the game how I would – strategically and with integrity. She’s also physically fit, active and enjoys adventure, much like myself! 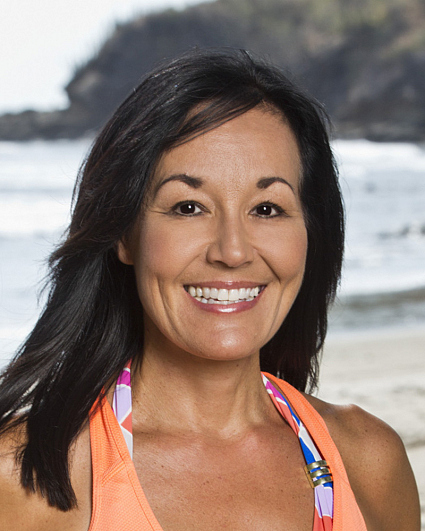 Reason for Being on SURVIVOR: My primary motivation would be for the million dollars. I’d buy my parents 1st class tickets to Japan! My secondary motivation would be for the adventure and to be able to show people that you can overcome anything life throws at you. I would love for more people to know about the Cochlear Implant! Why You’ll “Survive” SURVIVOR: I’m physically fit and have climbed the six tallest peaks in Southern California. I’m hard working and have great organizational and leadership skills and I’d bring energy and motivation since I’m always the optimist. Why Will You Be the Sole SURVIVOR: I have always said that to win Survivor you need to sell yourself. That is something in my favor because of my own persuasive abilities. I also feel strategy is important and I have always been a proactive person. I don’t like surprises and therefore I am always thinking one step ahead.